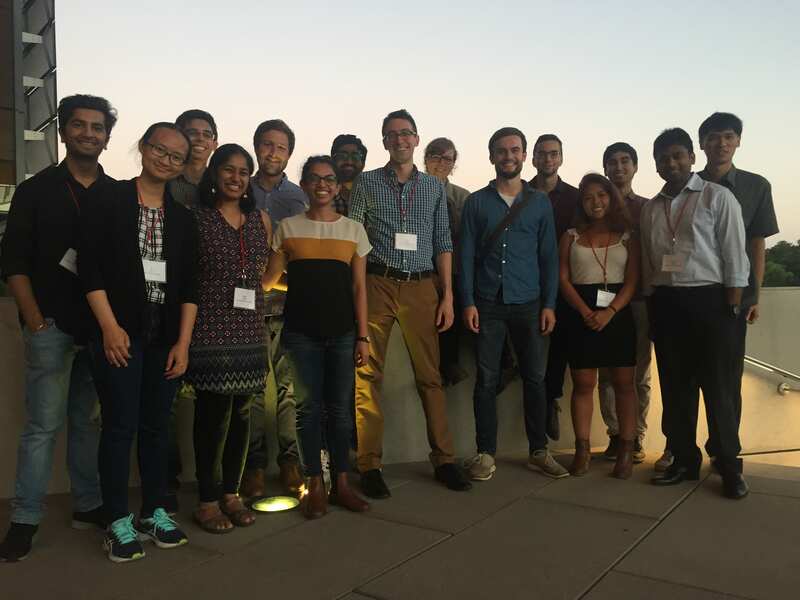 Last week, over 40 graduate students and junior researchers from 15 different universities met at Cornell University for the 3rd annual Doctoral Consortium on Computational Sustainability Doctoral Consortium (CompSust-2018). The consortium ran from Friday the 14th through to Sunday the 16th. On Friday, we had over 20 student talks featuring a wide range of sustainability topics from computational techniques for wildlife preservation to advances in the analysis of power grid measurements. At lunch, Prof. Stefano Ermon of Stanford gave a seminar, based on his IJCAI Computers and Thought award talk, on using computational advances in AI and Machine Learning to further human well-being across the globe. One part of his talk focused on mapping sustainable development goals, for example poverty measures. In the afternoon, Prof. Warren Powell of Princeton gave a tutorial about a unifying framework for stochastic optimization and sequential decision making. We learned how a wide range of decision making problems under uncertainty can be related to one another, allowing advances in one domain to be applied to new problems from another. The slides for Dr. Powell’s tutorial can be found here. A web version of his new book on the same subject can also be found here. On Saturday, students formed groups for a “collabo-thon”: an extended working session to foster new interdepartmental collaborations between students in the CompSust community! For example, a group around Priya Donti and Bryan Wilder worked on optimal sensor placement for the power distribution grid. In particular, they were attempting to optimize for the quality of voltage regulation outcomes based on our choice of sensor placement. This uses ideas of Priya’s work in task-based end-to-end model learning, as well as Bryan’s work in influence maximization. Dr. Guillaume Perez also gave a tutorial on constrained generation problems after lunch. We learned how to generate pieces of text which simultaneously rhyme and follow a certain style, which is an NP-complete problem! The slides of the tutorial and the jupyter notebook for the tutorial can be found here. On Sunday, the consortium concluded with a hike around Cornell’s Beebe lake and a picnic in the botanical garden. Thank you to everyone who attended the DC and especially to all of the wonderful speakers who presented tutorials and talks at the event. We are looking forward to seeing all of you again at next year’s Doctoral Consortium or at our biweekly CompSust Open Graduate Seminar (COGS). This is a post by Emily Markert. See her bio at the bottom of this post. In the aftermath of Hurricane Irma, a team of analysts from the National-Geospatial Intelligence Agency (NGA) were tasked with manually annotating satellite images for signs of destruction, such as damaged buildings and roads, to facilitate the recovery and clean-up effort. 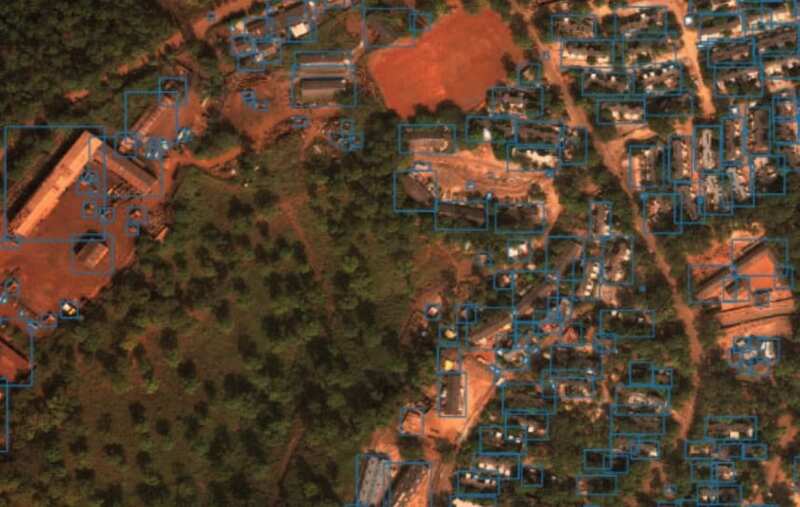 The painstaking and time-consuming nature of this important task inspired the NGA to seek out a method of automating the annotation of satellite images, in hopes of improving the efficiency of damage reporting after future disasters. To address this problem, the Pentagon has launched the xView Detection Challenge, which offers a $100,000 prize for the algorithm that can most accurately detect items relevant to disaster relief, such as damaged buildings and vehicles, from a set of high-resolution satellite images. The challenge is being managed by DIUx, an organization that facilitates collaboration between the Department of Defense and technology companies, in partnership with the NGA. Submissions to the challenge were due by July 22, 2018, and the winning algorithms will be announced on August 3. In an article published by Wired describing this challenge, Stanford professor Stefano Ermon, who is a member of this research network, notes the potential contributions of the competition to machine-learning research, as well as humanitarian work. Dr. Ermon’s own research involves using machine-learning to predict areas of poverty in Africa from satellite images. Under the assumption that well-developed and non-impoverished areas are brightly lit at night, Dr. Ermon’s team has trained an algorithm to pick out areas that are well-lit or dark, as shown in nighttime satellite imagery, and then identify differences between those areas in daytime satellite imagery. So far, identifying features such as roads and waterways have been used to successfully differentiate impoverished areas. Dr. Ermon and his team hope that their algorithm can provide an inexpensive and scalable method of supplementing household survey data in the identification, and eventually remediation, of poverty. To learn more about Dr. Ermon’s work, visit his research team’s website, or watch a recording of his Computational Sustainability Virtual Seminar here. Emily Markert is a Computer Science undergraduate at Vanderbilt University supported by NSF Grant 1521672. The opinions expressed herein are Emily’s and not necessarily those of Cornell University or NSF. You can reach Emily at emily.markert@vanderbilt.edu. This is a post by Kamala Varma. See her bio at the bottom of this post. Place attachment is defined as an emotionally-grounded person-to-place bond that causes a place to become a part of a person’s self-identity. With respect to sustainability, place attachment can function as motivation for people to engage in pro-environmental behavior by using appeals to a person’s self-identity. Someone is more likely to care about environmental issues surrounding a place that they feel connected to. This idea is similar to that mentioned in Selina Chen’s blog post, Making it Local. She describes the power that “bringing the issues home” has to incentivize people to contribute to computational sustainability efforts. Places that are local and close to home are likely those that people have a strong place attachment to. In this blog post, I will discuss strategies for building an attachment, and therefore a heightened sense of environmental responsibility, for places that are not necessarily close to home. In order for someone to form a personal connection to a place, they need to be familiar with it. This paper describes the degree of familiarity as something that can be increased by frequent encounters with a place, having a large body of knowledge about a place, or even by being able to recognize a place’s similarity to some familiar place in our memory. One study expands on the idea of knowledge increasing place attachment. Students were observed before, during, and after a geologic field trip, and the study found that learning performance was increased when students were taught a preparatory unit that allowed them to enter the field trip with prior knowledge of the subject. The preparatory unit reduced the common field trip anxiety of entering new environments and not knowing what to expect, which inhibits learning performance. Therefore, having background knowledge of a place before experiencing it is beneficial in building place attachment because it increases a person’s capacity to become familiar with it through learning. A similar study compared two distinct models of learning through geological field work. A roadside module had students visiting up to two sites each day, which required more driving time and less extensive, but more collaborative assignments. A situated module focused on a single area across the entire two weeks to conduct the field work in, while requiring more detailed assignments that were less collaborative. The findings indicated that students formed a stronger attachment to the situated field area because of student autonomy (their ability to explore the space through their own agency) and the immersiveness of the landscape. This supports the idea that forming place attachment is more effective when it happens on site, but further asserts that having agency in the exploration of a site increases effectiveness. Participants in an Andean Bear camera-trap study from the Computational Sustainability Network, are described to have been, on “…the last field day taking in the beauty and expanse of the study area and proudly pointing out the different areas where cameras would be placed, demonstrating not only their commitment to the project, but also to each other as a collective team with a common goal.” In addition to forming an attachment to a place while being physically immersed in it, the fact that they were becoming actively involved in the landscape further increased participants’ commitment to the place. This suggests that not only can place attachment encourage involvement in positive environmental behaviors, but also that involvement in these behaviors can encourage place attachment! The new project that Emily Market introduced in her blog post, RegionRadio, highlights the ability that storytelling has to “…[immerse] people in the history of a place, increase the connection they feel to it, and therefore increase the likelihood that they would act to protect it.” RegionRadio is using methods of building knowledge and of establishing a close physical proximity in order to form or strengthen place attachment. It also introduces a interesting storytelling angle worth exploring, as the project will potentially start to incorporate stories written and read by users. Similar to the Andean Bear study, writing and telling a story is a form of involvement that would strengthen place attachment. However, in this case the involvement is with a person’s memories, so the question arises of whether or not attachment can be strengthened without any new knowledge or experience, but by exercising past knowledge and experience alone. With respect to the study of roadside vs. situated field work, having a RegionRadio user listen to a story told from someone else’s perception eliminates the agency of the learning and therefore decreases the potential for building an attachment. However, one motivation for RegionRadio’s incorporation of user-authored stories is the assumption that they will be more compelling than most stories extracted from a Google search. Therefore, a possible new relationship to explore would be the effect that the interestingness of a story has on the formation of place attachment. Another relationship to further explore is the effect that the agency involved in web exploration around a place has on an individual’s attachment to the place. This is applicable to RegionRadio’s process of automatically selecting stories from the Google search results, which is aimed to make the selection through filters of (among others) user preferences, but does not give the user direct authority in the choice. Futurist Paul Saffo describes an individual’s ability to select information from a vast cyber-sea of media as a way to reinforce their pre-existing world views. Information that conflicts with their perspectives is uncomfortable and therefore shut out, which Saffo claims to be detrimental to the growth of empathy. Saffo’s perspective suggests that agency of web exploration can enhance place attachment because it is increasing a person’s knowledge and familiarity with select places. However, the ability to form attachment to new places would be lessened because people will lose the capacity to understand and connect to unfamiliar places. This is a post by Abigail Roberts. See her bio at the bottom of this post. This past spring, hundreds of bright yellow bicycles showed up on campus at Vanderbilt University. All you had to do was unlock the bike with your phone, ride it across campus, and lock it at your destination. Although I personally prefer walking over cycling, I became intrigued by the idea of bicycle sharing. Why is the idea spreading so quickly? Are these systems making a difference? In a bicycle sharing system, a fleet of bicycles are made available in a city or neighborhood, and users can check out a bike, ride it across town, and leave it at their destination. By a recent estimate there are now over 14 million shared bicycles in cities around the world. With an explosion of companies in the last 10 years, bike sharing is quickly spreading with a goal of mitigating the environmental and economic impacts of traffic congestion in urban areas. The first bicycle sharing program started in Amsterdam in 1965 as a grassroots solution to the pollution caused by cars. A group called Provo painted a bunch of bicycles white, and left them around the city to be used by anyone, for free. However, the anarchist political leanings of Provo caused the police to remove the bikes from the streets shortly after. The next wave of bicycle sharing took off in the 1990s in Denmark. The rides were free, but users had to deposit a coin at a station in order to unlock a bicycle, and only got the coin back upon returning the bicycle. The coin system incentivized the return of bicycles, but since a user could not be identified, there were still issues of theft and vandalism. Starting in 1998 in France, bike sharing systems began using technology at the docking stations to associate users with bicycles, and most systems began charging usage fees. As technology has improved, it has been integrated into bike sharing systems to allow GPS tracking of the bicycles and access via smartphone. Since 1998, these systems have had the data to tackle the problem of “rebalancing,” which is optimizing the distribution of bicycles across docking stations so that users will not find themselves in an area without any available bicycles. In the last few years, the industry has begun to evolve again with the introduction of dockless bike systems that aren’t tied to specific docking stations, as well as electric bikes that make travel more efficient and accessible to more users. These trends introduce new problems of optimizing the distribution of bicycles without the anchors of specific stations, and in the case of electric bikes, providing places for the bicycles to be recharged becomes necessary. Researchers from Cornell University who participate in the Computational Sustainability Network have been working on ways to optimize operations for one particular bike sharing company, Citi Bike, which operates in New York City. In 2016, Nanjing Jian, Daniel Freund, Holly M. Wiberg, and Shane G. Henderson tackled the problem of optimizing allocation of bicycles at docks across the city. They were able to use heuristic methods to demonstrate a simulation-optimization approach that is computationally feasible for real-life data. In 2018, Hangil Chung, Daniel Freund, and David B. Shmoys analyzed various incentive programs that could be used to encourage users to help with balancing the distribution of bicycles throughout the city; Citi Bike ended up using one of the incentive programs in practice. Research has also looked at the benefits of increased access to cycling. A 2014 study in London found overall health benefits from bike sharing, though the benefits were greater for men and for older users. This recent paper found a noticeable decrease in carbon dioxide emissions in Shanghai, China due to bicycle sharing. In Barcelona in 2011, this study found reduced carbon dioxide emissions due to cycling, as well as finding that the health benefits of increased physical activity outweigh any potential negatives of traffic fatalities or air pollution inhalation while cycling. In the rapidly growing industry of bicycle sharing, there will continue to be opportunities for research with applications to these systems, whether examining the benefits and results of these programs, or using computational methods to solve the logistical challenges these systems face. As bicycle systems continue to evolve, research can be extended to emerging Fourth Generation systems. 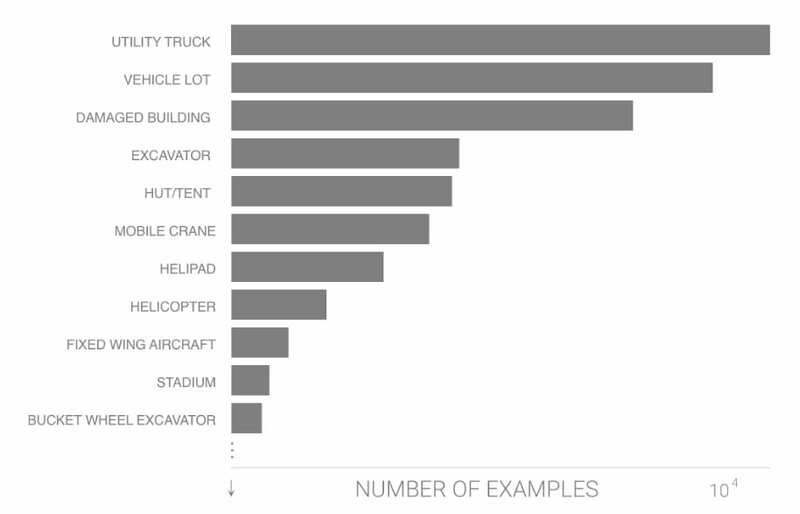 For example, consider how the Cornell work on the rebalancing problem is impacted by dockless systems: instead of centering analysis around fixed docking stations, the analysis might focus on areas with clusters of pick-up and drop-off activity, as well as taking into account situations where a bike is left isolated somewhere for an extended time. Dockless systems also introduce new possibilities for incentive programs that exploit the flexible nature of these new systems. Though there are still many questions to answer with regards to bicycle sharing, the research consensus seems clear: bicycle sharing systems are a benefit to both personal health and local sustainability efforts. Abigail Roberts is a Computer Science undergraduate at Vanderbilt University supported by NSF Grant 1521672. The opinions expressed herein are Abbey’s and not necessarily those of Cornell University. or NSF You can reach Abbey at abigail.k.roberts@vanderbilt.edu. A new study led by researchers from Cornell University, including Drew Harvell of this research network, found that plastic debris in the ocean increases the risk for disease in coral. Plastic debris has been shown to negatively impact coral in a number of ways; plastic items, specifically those made of polypropylene, provide “ ‘ideal vessels’ ” for bacteria associated with white syndromes, a “ ‘globally devastating group of coral diseases’ ”, as Joleah Lamb explains in the Cornell Chronicle. Plastic pieces can also scratch the surface of coral, or block light from reaching it, which weakens the coral and makes it even more susceptible to disease. The research team behind this study assessed the relationship between plastic debris and disease in coral by surveying 159 coral reefs throughout the Asia-Pacific region, and have published their findings in Science Magazine. Of the coral reefs examined, coral in contact with plastic debris was found to be 20 times more likely to be affected by disease. This statistic is especially concerning, since diseases such as white syndromes cause permanent coral tissue loss and can spread throughout a reef. Additionally, the already high volume of plastic trash entering the ocean each year is only expected to increase; researchers predict (using a generalized linear mixed model) that by 2025, 15.7 billion pieces of plastic will be caught on coral reefs in the Asia-Pacific region alone. This estimation was based on a previous prediction of the amount of plastic trash entering the ocean, which used a model that considered population density and economic status of coastal regions. 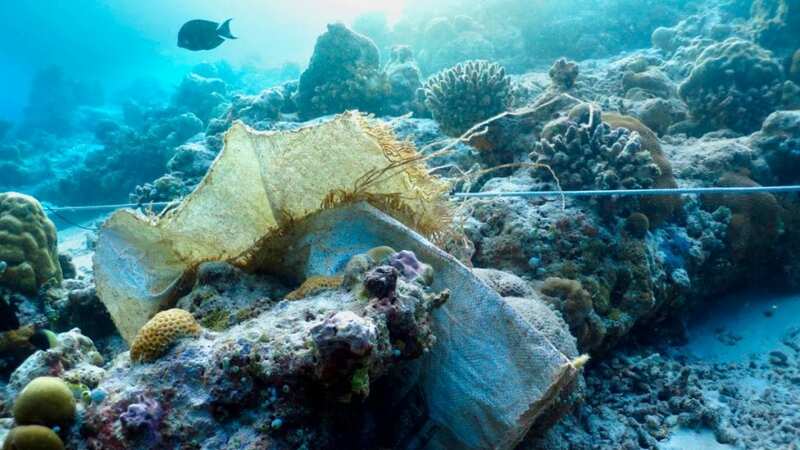 Since coral reefs with complex structures, which provide the best habitats for fish and microorganisms, are especially likely to snag floating plastic, it is expected that the most valuable coral reefs will be especially prone to the growing threat of disease. The destruction of corals has many devastating consequences. Coral reefs support extremely biodiverse ecosystems, and the loss of the rich habitat they provide can reduce the productivity of fisheries by two thirds. Corals are also estimated to provide a yearly value of $375 billion “through fisheries, tourism, and coastal protection”, and are crucial to the wellbeing and livelihood of 275 million people worldwide. For more information on the effect of plastic pollution on coral reefs, see the original article in Science magazine, or a publication in the Cornell Chronicle. Wildbook is an open source software platform devoted to tracking animals in the wild and decreasing the chances of extinction in different species. The software itself, WildMe, is publicly available on GitHub to encourage people to join the movement in protecting wildlife. Much of the success of the program relies on citizen science and interaction, and the system itself utilizes artificial intelligence to identify animals and other environmental features from photographs. A unique advantage of using photos for identification purposes is that when an individual animal is encountered in the wild, today’s digital cameras are able to capture a large number of high quality photographs before the encounter is over. These photos may then be used to further improve animal identification by using machine learning software that is available through Wildbook. Wildbook processes photos from research teams, social media, and citizens alike. Wildbook uses deep convolutional neural networks to analyze a photograph, and identify animals, plants, and other objects contained within the scene. The system’s pattern matching algorithms are also capable of identifying unique individuals that are known to research teams. This gives scientists important opportunities to track individuals, as well as populations, and social interactions of the animals. The purpose of Wildbook is to be an open-source platform that enables different research teams to perform photo identification with limited manual labor. Since its beginnings, Wildbook has been used by many projects, one of the first of which was a 2005 project to study whale sharks. The photo identification software was based on software to identify constellations (Arzoumanian et al., 2005). Once adapted, the software enabled researchers to identify whale sharks from their size and shape, as well as their spot patterns. Spot coordinates are represented in XML and either match known individuals, or are used to identify previously unrecorded individuals. A later study in 2008 also used a whale shark database along with the lab’s mark-recapture methods to better understand the survival rates of whale sharks in Western Australia (Holmberg et al., 2008). The 2005 and 2008 studies, and others, have led to a “Wildbook for Whale Sharks” organization that is dedicated primarily to keeping track of whale sharks around the world. The organization’s website has a featured link that allows users to “Report your sightings,” which requests input about the user, the sighting, its date and location, and whatever footage or photos the user captured of the whale sharks. Improvements in the Wildbook for Whale Sharks software has spread coverage of whale sharks from Western Australian populations, to the Philippines, to the Western Atlantic Ocean. While some studies focus on geographic areas and the distribution of the animals (Araujo et al., 2016), others track specific animals (Norman and Morgan, 2016). Still other projects track social groups and seasonal migrations of different populations, like the 2013 study on sharks in the Gulf of Mexico and the Caribbean Sea (Hueter et al., 2013). Not only can an organization for an individual species like whale sharks use Widbook, but citizens and scientists alike can participate in the research by providing photographic evidence of many types of animals. Manta Matcher is another example of programs that have been able to form because of the capabilities offered by Wildbook. Its website has a nearly identical setup to Wildbook for Whale Sharks, and it provides easy access to a page through which users can submit data and photographs they collected. Flukebook is yet another option for photo identification that is, as its name might suggest, an identifying software for the flukes of whales. Each of these programs that are directly related to Wildbook offer resources that in turn are used by many scientific organizations. For example, the Dominica Sperm Whale Project uses Flukebook to keep track of individuals in the island’s surrounding waters. Shane Gero, a scientist from the project, is quoted on WildMe’s website, saying, “PhotoID as a tool for conservation and research finds power in numbers and international, inter-institutional collaboration,” indicating that a globally collaborative platform like Wildbook is exactly what the scientific world needs to get answers and solve problems. Some programs use Wildbook to find individual known animals, rather than categorizing creatures as one species or another. In 2013, an algorithm was introduced called HotSpotter, which used pattern matching methods to identify unique sections on photographed animals. Thus, HotSpotter became a versatile option for identifying multiple types of animals, as well as individuals within the same species. HotSpotter focuses on identifying key points on animals in the frame of the photograph, and it then uses a nearest-neighbor search to compare the new photo with pre-existing records in the database of individual animals. To train and test the system, it was run on photos from scientists, assistants, ecotourists, and ordinary citizens. The software has been successfully used on many creatures, including two types of zebras, giraffes, leopards, and lionfish (Crall et al., 2013). Every example of Wildbook usage for external research highlights the importance of citizen interactions that make the research possible. Machine learning schemes and artificial intelligence typically require large amounts of data with which to be trained, and in order to test the algorithms, completely fresh, non-repeated data files must be used. This means that in order for an algorithm to be effective and accurate, it must have a huge source of data files, which in this case are photographs. Thus, citizens’ and the public’s interactions with projects like Wildbook are essential to success. This necessity for external input is evident in many related pieces of research, such as a 2017 case study on Twitter. This study discusses the crucial role that everyday members of the public play in data collection. In this study, the researchers wanted to train a machine learning algorithm to identify emotions in tweets on Twitter. The people on the research team, however, could not manually provide enough examples and training data to have a fully functioning algorithm. It simply would take far too long to be worthwhile. Using citizen scientists, however, the team was able to gather enough data to get their algorithm running accurately in a reasonable amount of time (Sastry et al., 2017). Not only is advancing technology providing more opportunities for the public to get involved with research, but it is also offering new and more accessible ways of participating in different projects. Take, for example, the Humane Society, which asks citizens to submit information about roadkill they come across online. The National Audubon Society also has a program for volunteers to count and monitor birds for an annual census. Programs such as these, as well as Wildbook spinoffs, allow citizen scientists to submit vital information through the internet or applications. Evolving technology has placed the ability to submit such data directly in our hands through mobile phones and other devices, and the internet offers places to submit data, as well as aids to citizens in finding causes and projects with which they can help. WildMe’s website divides citizen scientists into four distinct groups that are categorized by the role the citizens play in research. The first group are denoted as “scientists.” These citizens are incredibly engaged in the research, and they focus their efforts on analyzing data and determining its meaning. Second are the “evangelists,” who are devoted to outreach and explaining the research project to the public. They play an important role in motivating more people to join them in the effort, as well as building communities that support the research. The next role is “the technologist,” which further emphasizes the significance of technological advancements. These people make sure that the IT side of the project allows it to be as efficient and interactive as possible. Finally, “the volunteer” educates members of the public so that they are capable of collecting data, monitoring inputs, or analyzing information, as it may relate to the research. Those in charge of Wildbook also understand the power of globalization and how the world is connected through the internet. With an active Twitter account, the organization is able to advertise itself through new pieces of research that use the software. The Wildbook Facebook page is also active. It provides similar updates to Twitter, as well as chances for visitors to donate to the cause, attend related events, and participate in virtual reality activities to learn more about the animals. For example, The “Great Grevy’s Rally” is currently publicized on the Facebook page, and it invites people to go to Kenya in January to help complete a census on the Grevy’s zebras in the area. It welcomes any and all aspiring citizen scientists to join the charge in driving around a designated area to photograph and document and zebras seen in the area. The data collected will then be put into the Grevy’s zebra Wildbook database. The Facebook link on the event page redirects one to a page describing the Grevy’s zebra mission, and clearly offering tips on how to become a citizen scientist and help the cause. By marketing these events in places that supporters are likely to see them, Wildbook gains both support and renown via the internet. Wildbook provides an incredible opportunity to globalize scientific and ecological missions like was never before possible. Individuals of any profession from around the world can participate in the global mission to save and preserve the planet on which we live. The software provides an interface between science and the public that is easily accessible, especially for individual species that have their own associated organizations and easily accessible databases and websites. From whale sharks, to giraffes, to leopards, to lionfish, Wildbook has introduced endless options for collaboration. More than simply using user-generated photographs, Wildbook offers people the option to get involved and have a part in science, which is a crucial piece of gathering a force together that can have a positive impact on our changing world and dangerously shifting animal populations. Carmen Camp will graduate in spring 2018 with a degree in Computer Science and Corporate Strategy. She is passionate about marine science and hopes that her future will include plenty of opportunities to help protect the ocean. She may be contacted at carmen.camp@vanderbilt.edu. Araujo, G., Snow, S., So, C. L., Labaja, J., Murray, R., Colucci, A., and Ponzo, A. (2016) Population structure, residency patterns and movements of whale sharks in Southern Leyte, Philippines: results from dedicated photo-ID and citizen science. Aquatic Conserv: Mar. Freshw. Ecosyst., doi: 10.1002/aqc.2636. Arzoumanian Z, Holmberg J & Norman B (2005) An astronomical pattern-matching algorithm for computer-aided identification of whale sharks Rhincodon typus . Journal of Applied Ecology 42, 999-1011. Holmberg J, Norman B & Arzoumanian Z (2008) Robust, comparable population metrics through collaborative photo-monitoring of whale sharks Rhincodon typus. Ecological Applications 18(1): 222-223. J. P. Crall, C. V. Stewart, T. Y. Berger-Wolf, D. I. Rubenstein and S. R. Sundaresan, “HotSpotter — Patterned species instance recognition,” 2013 IEEE Workshop on Applications of Computer Vision (WACV 2013), pp. 230-237. Many of us have experienced car rides, both short and long, filled with small-talk, music played from a radio, or even podcasts. Although these media seem to do well enough at keeping us entertained, they often contribute little to any higher purpose. The vast amount of time people spend in transit has great potential to provide a meaningful experience, yet typically goes unutilized. Thus, we introduce RegionRadio, a spatially-aware storytelling tool aimed at supporting sustainability efforts through place-based education. The theory behind place-based education argues that immersing people in the history of a place can increase the connection they feel to it, and therefore increase the likelihood that they would act to protect it. In this way, RegionRadio exhibits place-based education by presenting stories to a user as they travel along a route; these stories are mandated to be relevant to the user’s current geospatial location, to contain topics related to environmental concepts, and eventually, to be customized to specific users’ preferences and histories. These stories are analyzed and filtered based on their topic, perceived interestingness, and continuity of the ‘playlist’ presented to the user throughout their journey. Use of RegionRadio is intended to be as simple as turning on the radio, but aims to develop ordinary citizens as environmental advocates by heightening appreciation of their surroundings through the telling of stories. Although this project is unique in its sourcing and presentation of environmentally-focused place-based education, we take inspiration from other work in spatially-based education, to include SCRABS and DETOUR. The SCRABS system was designed by a group of researchers from the Cultural Heritage Information Systems national project, and is intended to increase cultural appreciation by presenting users with personalized, context-based information as they explore historic sites. The system has not yet been fully developed, but presents an ambitious design that can be further reviewed in this publication. This context-dependent recommendation of information aimed at increasing cultural appreciation is highly relevant to our own task, but applied to a different domain. We consider another tool that is fully-developed, and has potential to convey place-based education. Detour is a growing platform offering the creation and taking of a novel type of audio tour. Taken on the user’s own smartphone, Detours can be taken in both indoor and outdoor spaces, and progress as the user moves through space, triggering narrations and other media along the way. While most existing tours published with Detour focus on urban areas, there is great potential in creating Detours for more natural settings. Allowing users to download tours that might lead them on a hike, through a National Park, or on a scenic drive would make place-based education easily accessible for Detour’s thousands of users. To keep up with RegionRadio, stay tuned to this blog. Emily Markert is a Computer Science undergraduate at Vanderbilt University. The opinions expressed herein are Emily’s and not necessarily those of Cornell University. You can reach Emily at emily.markert@vanderbilt.edu. This is a post by Mateus Winelmann. See Mateus’ bio at the bottom. We often hear about major scientific discoveries in the media, like how scientists at CERN found the Higgs Boson or that a lifesaving drug like Harvoni, which can cure hepatitis C, is going to market. These are amazing breakthroughs, but oftentimes the process of discovery feels like something far removed from us. After all, most of us don’t have the training or resources to work on these kinds of projects. When cutting edge scientific research often requires years of specialized education and billions of dollars in funding (finding the Higgs Boson is estimated to have cost over US$13 billion), it doesn’t seem like something ordinary people can be a part of. That doesn’t have to be the case though! Citizen science consists of research done largely by the general public, typically without any significant cost for participants, and it can be incredibly valuable. To illustrate that, let’s talk about eBird. eBird was launched in 2002 by the Cornell Lab of Ornithology and the National Audubon Society, where the idea is to allow people to document their bird sightings. Bird watchers already tend to keep records of the birds they see or hear, and eBird allows them to make those observations available to educators and researchers across the world. Making that data available is already bearing fruit, with ornithologists at Cornell publishing a paper last year discussing the migratory strategies of birds, which is discussed in a New York Times article. The paper’s authors were able to document how different species of birds from different parts of the country migrate in different ways thanks to eBird. According to one of the paper’s articles, it would have cost researchers millions of dollars to collect this data through traditional tracking methods, and even then, the data would not have been as detailed. You can learn more about eBird and how to contribute here. If you are interested in finding other citizen science projects, take a look at NatureNet and SciStarter. If you’re feeling particularly ambitious, you can consider starting your own citizen science project. There are several tools and frameworks out there that can help you create and share a citizen science project, some of which are described here, and a few others I would suggest looking at are CitSci, crowdcrafting, Zooniverse, and iNaturalist. Starting your own project can be an ambitious undertaking, so I’d recommend taking the time to explore what projects are already out there to get an idea about how you might create your own project. While this page is directed at educators, it highlights a few important things to consider if you decide to create your own project. There is no shortage of things to be studied, so it’s just a matter of finding, or starting, a project that interests you. Mateus Winelmann is a senior undergraduate student at Vanderbilt University. The opinions expressed herein are Mateus’s and not necessarily those of Cornell University. You can reach Mateus at mateus.winkelmann@vanderbilt.edu. For pastoralists in East Africa, weather is key. The threat of drought is recurrent on the African rangelands, and has the potential to kill vast numbers of livestock, throttling herders and their families into poverty. This uncertainty has been a long-term concern in the region, and has led researchers Andrew Mude, Chris Barrett, and Michael Carter to develop a technology-based insurance program to protect these herders. This Index-Based Livestock Insurance uses satellite data to monitor weather conditions in pastoral regions, and estimates livestock deaths. Herders receive payouts based on these predictions. A team led by Carla Gomes, Director of the Institute for Computational Sustainability, has also developed mobile applications that allow herders to report conditions, introducing an element of citizen science. The program has been implemented in multiple countries, and this innovative combination of technology and finance has proven to be a success. The researchers behind this insurance have received numerous awards for their efforts, and countless pastoralists have seen their livelihoods stabilized. More information on this program can be found in this article from the Cornell Chronicle, in a press release on Dr. Andrew Mude’s receipt of the 2016 Norman Borlaug Award for Field Research and Application, or in this blog post. Computational sustainability has been a special track at AAAI since 2011. The track invites “research papers on novel concepts, models, algorithms, and systems” at the nexus of AI, and environmental and societal sustainability. The 2017 special track cochairs were Bistra Dilkina of Georgia Institute of Technology and Sabine Storandt of Julius-Maximilians-Universität Würzburg. The AAAI CompSust Best Paper Committee included Alan Mackworth of the University of British Columbia, Zico Kolter of Carnegie Mellon UIniversity, and Amy McGovern of the University of Oklahoma. “Phase-Mapper: An AI Platform to Accelerate High Throughput Materials Discovery” by Yexiang Xue, Junwen Bai, Ronan Le Bras, Brendan Rappazzo, Richard Bernstein, Johan Bjorck, Liane Longpre, Santosh K. Suram, Robert B. van Dover, John Gregoire, and Carla P. Gomes. Finally, CompSustNet Executive Council member co-authored the AAAI-17 Outstanding Paper “Label-Free Supervision of Neural Networks with Physics and Domain Knowledge” by Russell Stewart and Stefano Ermon. The paper describes research on using constraints to reduce the need for labeled data when learning to recognize and track objects. While not a computational sustainability paper per se, it a line of research that has clear implications for computational sustainability. 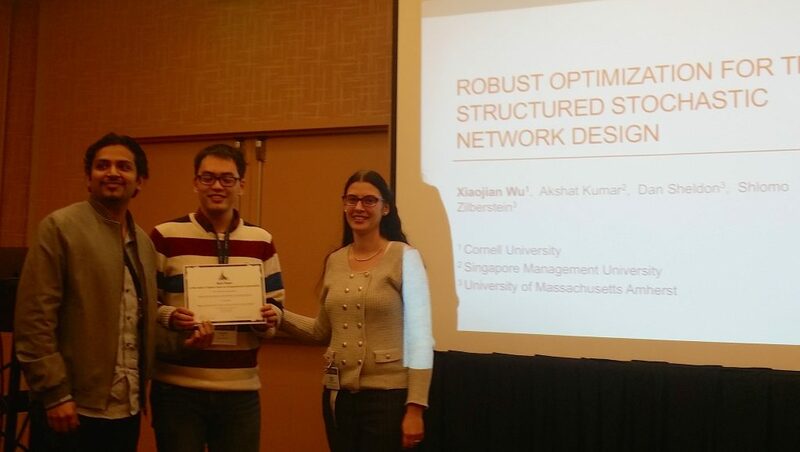 AAAI-17 CompSust co-chair Bistra Dilkina presents Best Paper award to Xiaojian Wu and Akshat Kumar, for their paper with Daniel Sheldon and Shlomo Zilberstein. A complete list of computational sustainability representation at AAAI and IAAI is broader than the CompSust special track, and relevant papers from AAAI, IAAI, and the AAAI-17 Workshop on AI+OR for the Social Good (appended at the end) are listed here as a convenience. This list includes CompSustNet members and collaborators too, highlighted in blue. Panelists: Eric Horvitz, Peter Mockel, Lynne Parker, and Gideon Mann. Moderated by Milind Tambe.